custom-blends organic dyes. She can turn a blah brown into a “buttery blond” or add new life to a natural ‘do with a strategic colorful streak—check out her own peacock-green bangs! 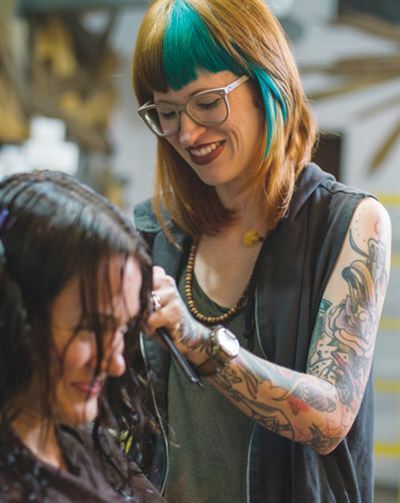 Before joining the Aviary Organic Beauty Collective, Jones taught at the Aveda Institute and worked at the Van Michael Salon in Buckhead after stints at Graceland Brooklyn and Mudhoney, New York.